2-pack of 5" x 8" baseball note pads. 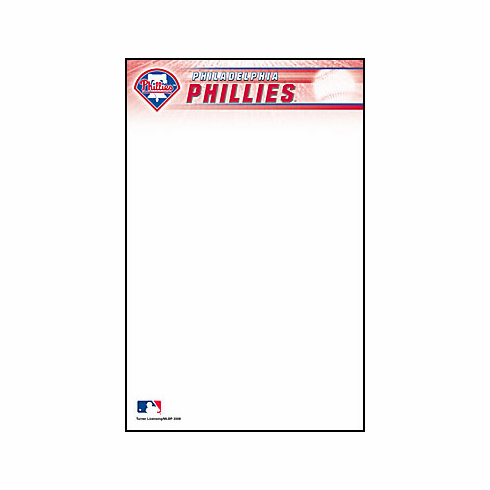 Each page features the Philadelphia Phillies logo at the top and the MLB logo at the bottom. 50 sheets per pad.